When police officer Asger Holm (Jakob Cedergren) is demoted to deskwork, he expects a sleepy beat as an emergency dispatcher. That all changes when he answers a panicked phone call from a kidnapped woman who then disconnects abruptly. Asger, confined to the police station, is forced to use others as his eyes and ears as the severity of the crime slowly becomes more clear. The search to find the missing woman and her assailant will take every bit of his intuition and skill, as a ticking clock and his own personal demons conspire against him. 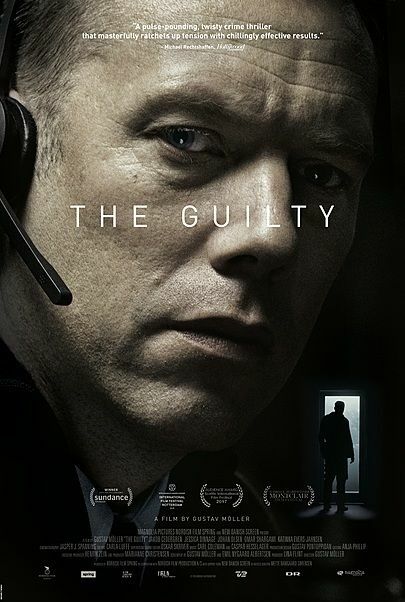 This innovative and unrelenting Danish thriller uses a single location to great effect, ratcheting up the tension as twists pile up and secrets are revealed. Director Gustav Möller expertly frames the increasingly messy proceedings against the clean Scandinavian sterility of the police department, while Cedergren’s strong performance anchors the film and places the audience squarely in Holm’s tragically flawed yet well-intentioned mindspace.